Maybe you've had a health scare or you're unhappy with the number on the scale. Whatever the reason, you've decided that today is the day you're going to get back into shape. 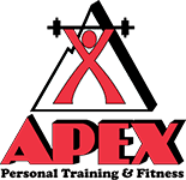 Take the first step by contacting Apex Personal Training and Fitness Center. It doesn't matter if you haven't worked out in a month, a year or a decade-our personal trainers will work with you to build up your strength and endurance. Don't think you can afford to join a gym? We've got all kinds of budget-friendly membership options. We don't charge initiation fees, and we don't believe in long-term contracts. You won't have to write a check each month, either-we'll charge your bank account automatically. So, what are you waiting for? Call 406-839-9139 to sign up. Get to know the people who started it all. Joining a gym may be more affordable than you think. Get one-on-one support from a trained professional. Have a blast while breaking a sweat. You're losing weight and gaining muscle. You're getting good reports from your doctor. Your friends are telling you how good you look. Copyright © 2019 Apex Personal Training and Fitness Center, all rights reserved.